I don’t know about you, but I get super jealous walking down the candy and desserts aisles during the first half of February. Everything is pink, red, heart-shaped, and…not vegan. 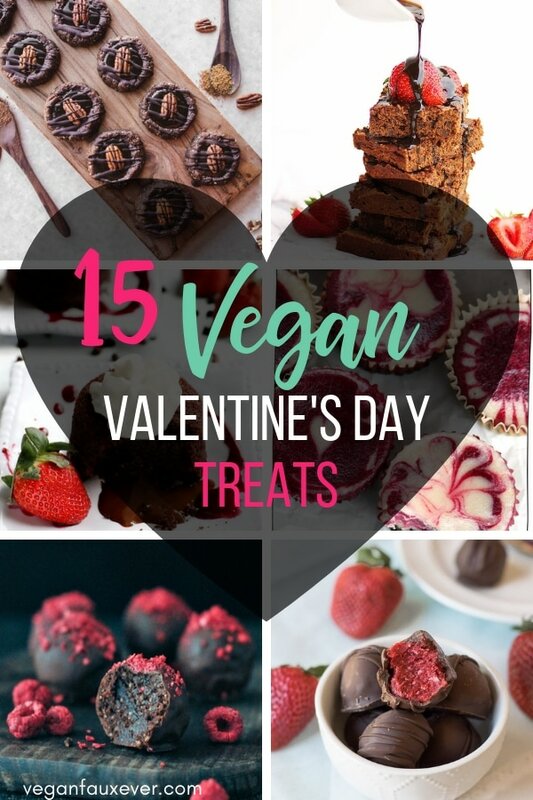 BUT you can totally enjoy vegan Valentine’s Day treats at home. The best part? You can treat yourself to these vegan Valentine’s Day desserts regardless of your relationship status. Heck, I’d made some of these for my mom! Fun fact: Caramel is not vegan 99% of the time. It usually contains milk. Sure, you can buy vegan caramels like Cocomels online, or you can make these heart-shaped chocolate caramels. The ingredients are super simple, only takes 30 minutes, and all you need is a heart-shaped silicone mold. Before going vegan, cheesecake was my #1 favorite dessert. I still get the Daiya vegan cheesecakes every year on special occasions. They’re in tons of grocery stores these days, come in multiple flavors, and are always a crowd pleaser. But, I believe that Valentine’s Day is the season for homemade treats. If you’re craving vegan cheesecake and have 20 minutes to spare, definitely try this recipe. 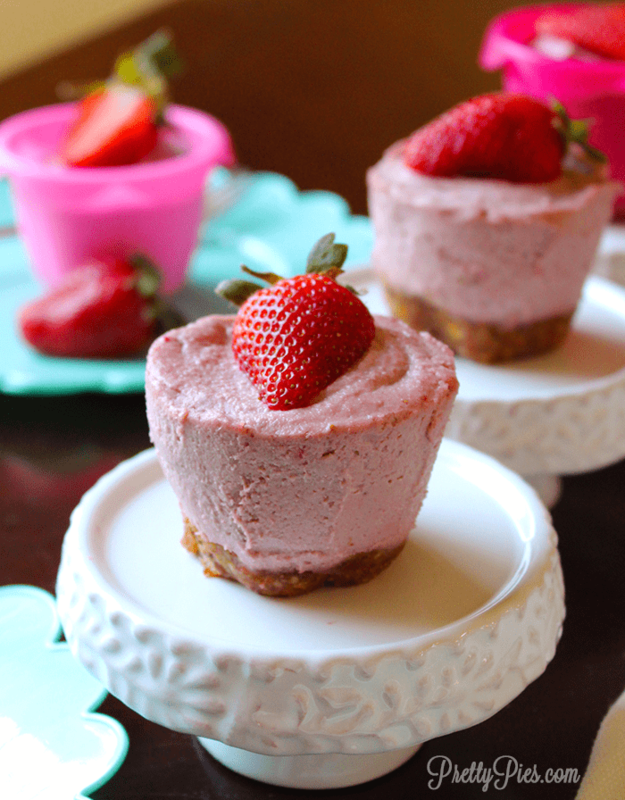 Plus, how cute are these mini cheesecakes? 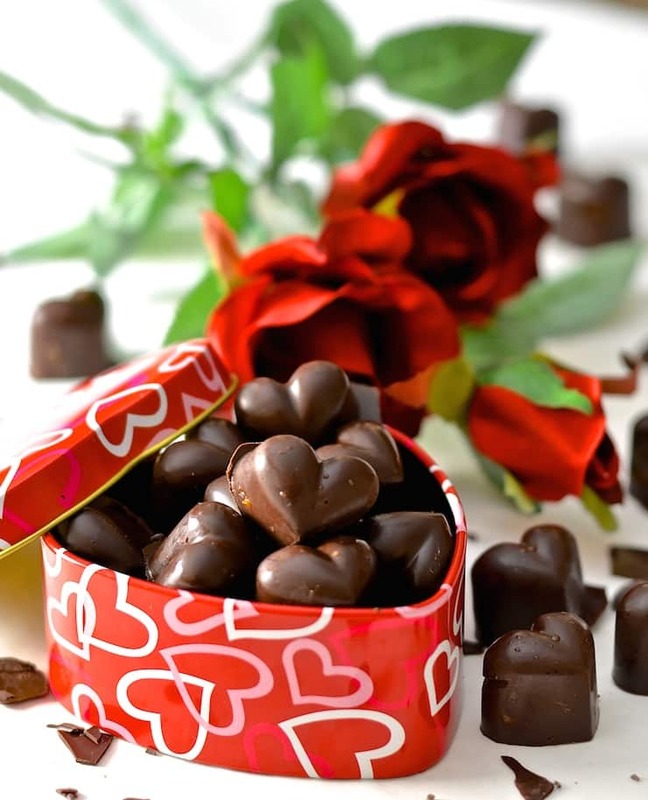 Truffles are the classic Valentine’s Day treat, so this list would be incomplete without them. 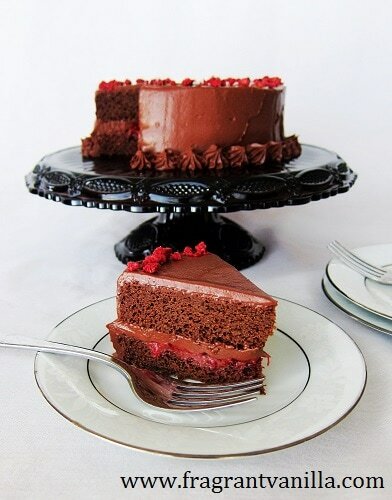 Be sure to try this vegan Valentine’s Day recipe as this one is especially decadent and rich. Bonus: Not only is this treat vegan, it’s also gluten-free! 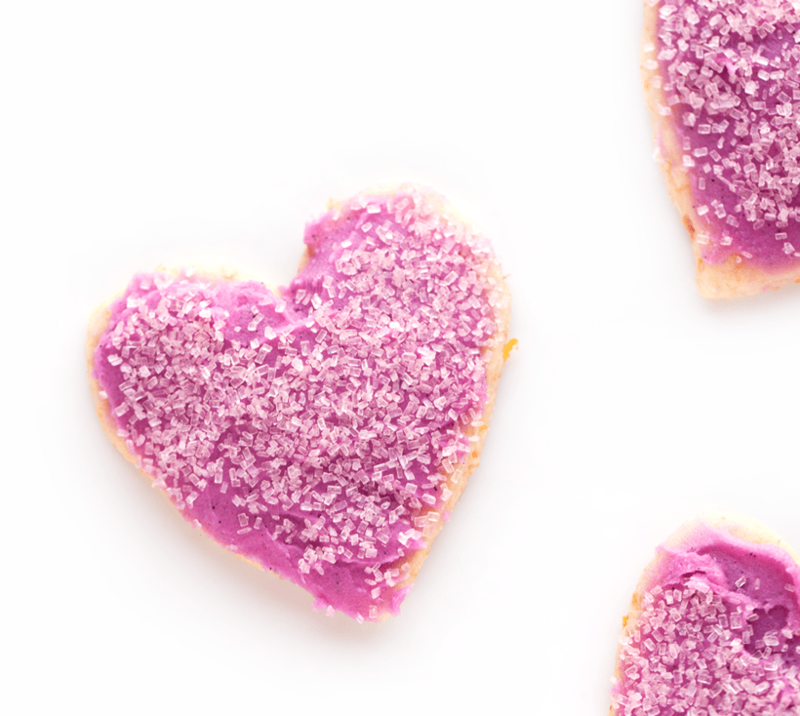 This vegan Valentine’s Day treat puts a unique spin on a Girl Scouts classic. Everyone loves thin mints. Fortunately, the thin mints sold by the Girl Scouts are accidentally vegan. However, these ones are heart-shaped…which is perfect for our Valentine’s Day theme. If you’re a mint lover like me, you’ll love these thin mints. And your Valentine will, too! This vegan Valentine’s Day treat is refined sugar-free, so you can indulge without feeling guilty. Plus, this recipe is no-bake! You do have to cook the caramel sauce on the stove, but that’s easy peasy. For the most part, you simply prep, combine, and refrigerate the ingredients. If you want a super easy vegan recipe for Valentine’s Day, I highly recommend this one. 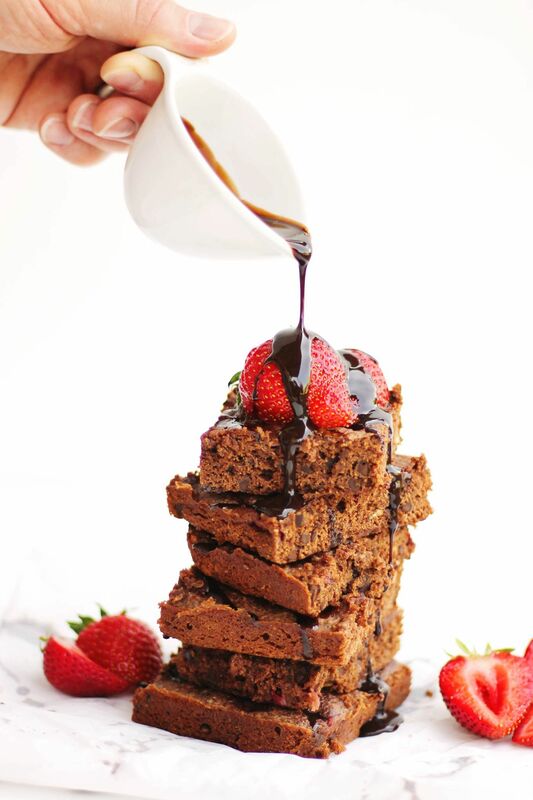 This vegan brownie recipe is actually from the Wicked Healthy cookbook, which is a must-have book on every vegan foodie bookshelf. These brownies are so moist, fudgy brownies. They’re very dense! However, that level of chocolate-ness is exactly what a vegan Valentine’s Day treat should have. I’ll take seven. My favorite cake flavor is red velvet. My favorite cake type is cheesecake. Basically, this recipe was made for me! These may look intimidating to make, but it’s actually pretty simple. Plus, the swirls on top are SO satisfying. 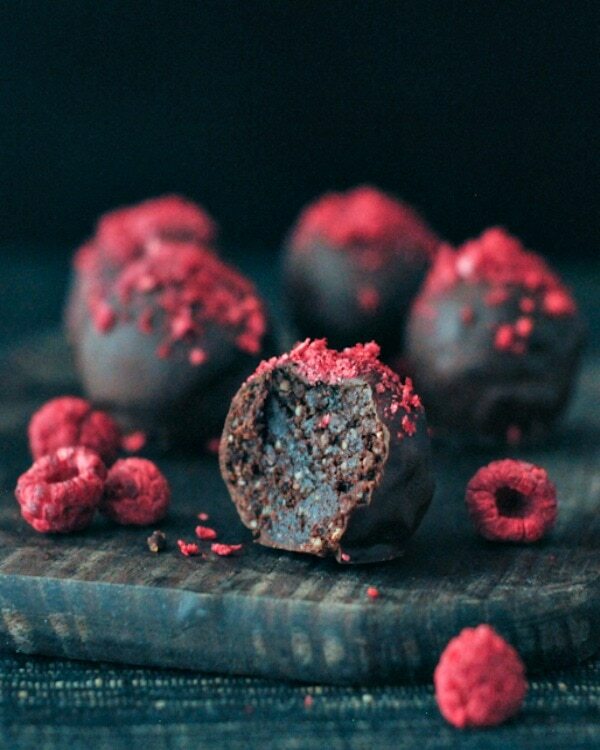 If you want to impress someone, this is the vegan Valentine’s Day treat to try. A vegan chocolate cake that oozes fudgy goodness? Yes, please! This vegan Valentine’s Day treat uses semi-sweet chocolate chips to create a center that oozes chocolate. It can also be made gluten-free very easily. It’s amazing how putting dessert in a wine glass automatically makes it look a million times fancier. This recipe is ridiculously tasty, wins 10/10 on presentation, and only takes 20 minutes to prepare. Just prep the ingredients and let it solidify in the refrigerator. The first time I made vegan cookies, I failed. The second time I made vegan cookies, they were the best cookies (and cookie dough!) I had ever had. With just a few more steps, you can enjoy these vegan Valentine’s Day cookies that add a special raspberry cream cheese element to a classic dessert. Dipping the cookies half in chocolate adds a romantic layer to the cookies, too. Be sure to use vegan sprinkles! 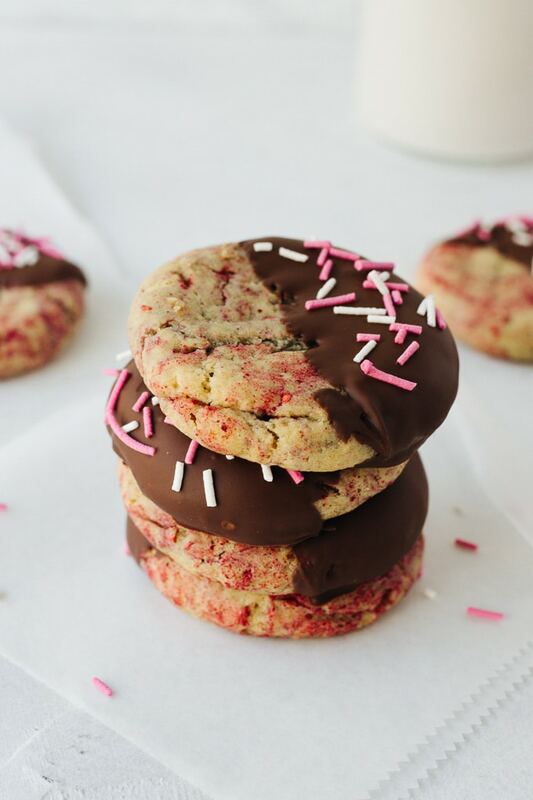 This vegan Valentine’s Day treat is making my mouth water just by looking at them! Imagine pulling this dessert out of the freezer on Valentine’s Day. You will make your and your loved one’s taste buds swoon with this recipe. This is a pretty easy recipe to make, but it looks like you put in maximum effort. 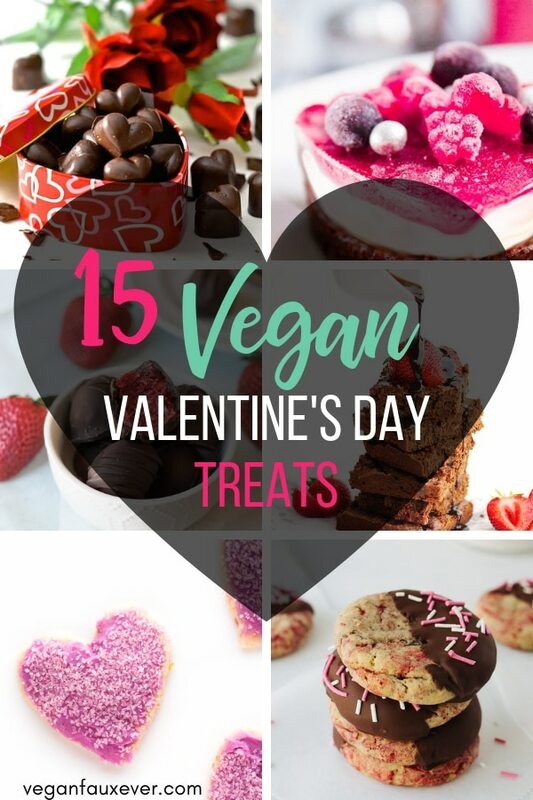 Definitely a vegan Valentine’s Day treat to try! These luxurious-looking truffles only have six ingredients! They come together in just 20 minutes, and they taste amazing. 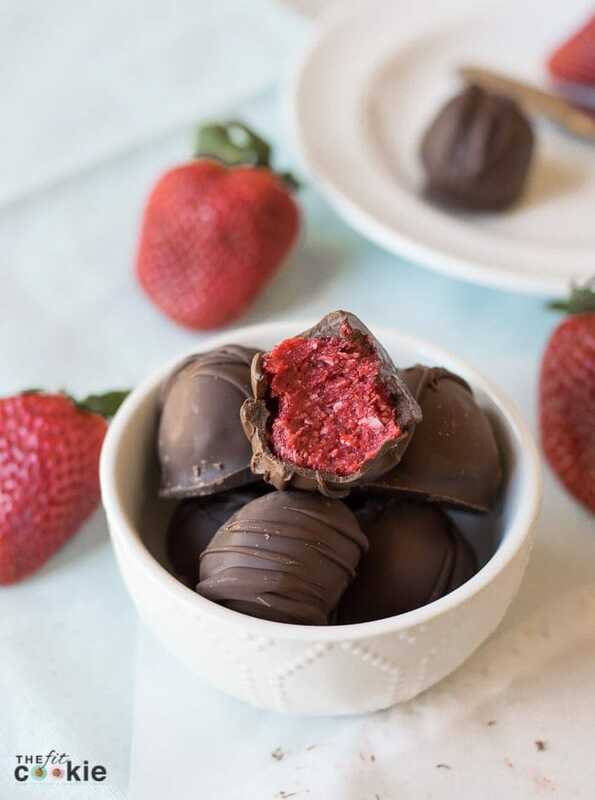 If you love coconut, strawberry, and chocolate flavors, then this is the vegan Valentine’s Day treat for you. Plus, you only need one kitchen appliance for this recipe: a food processor, which is a must-have for any vegan kitchen. Yes, you read that right. This vegan chocolate cake contains red wine, making it perfect for our vegan Valentine’s Day theme. You can also use gluten-free flour if needed. Just make sure your red wine is vegan by double checking it on Barnivore. How stunning are these vegan sugar cookies? They’re almost too cute to eat! The frosting gets its amazing pink color from dragonfruit (or pitaya). You can also use dragonfruit powder. This is a much healthier way to color your desserts without using artificial dye or beet juice. 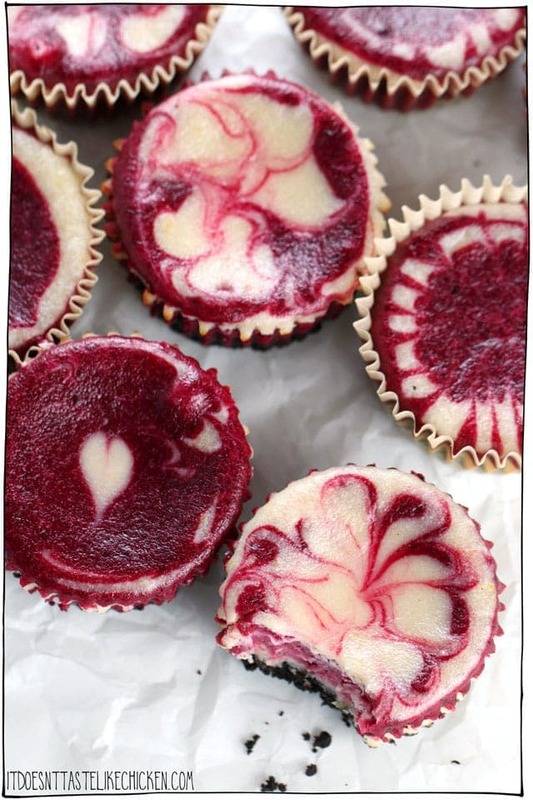 I highly recommend this super tasty, easy, and visually appealing vegan Valentine’s Day treat! 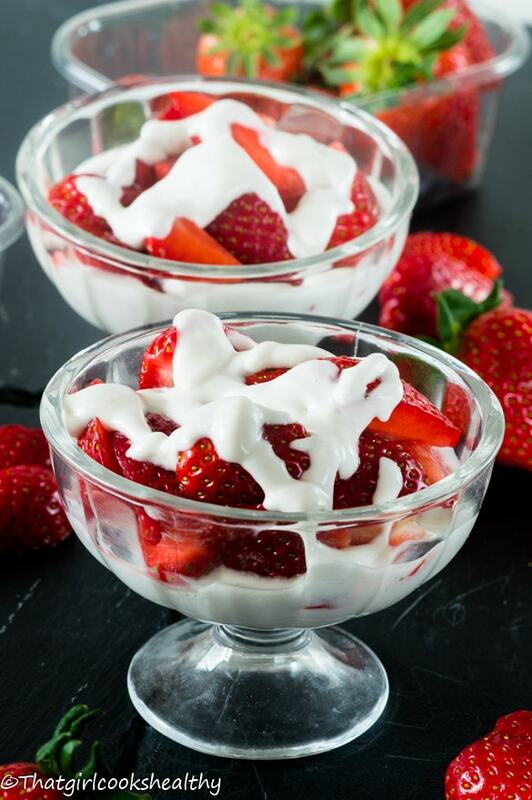 Rounding out this vegan Valentine’s Day treats round-up with the easiest recipe of all: strawberries dipped in whipped cream. 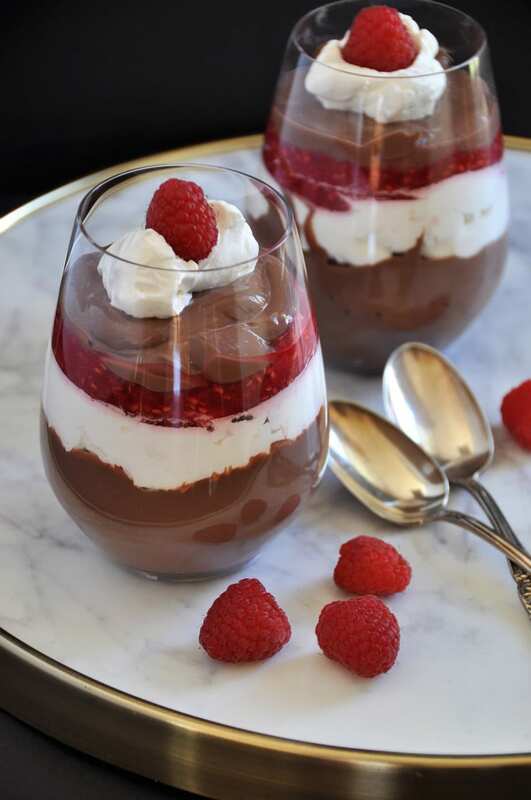 This is a super romantic dessert that tastes amazing, is super easy to throw together, and will make your Valentine feel special. Plus, the recipe is super simple: fresh strawberries and a 2-ingredient vegan whipped cream. As you can see, there are TONS of recipes for vegan Valentine’s Day treats. Hopefully you’ve taken some inspiration from this list! 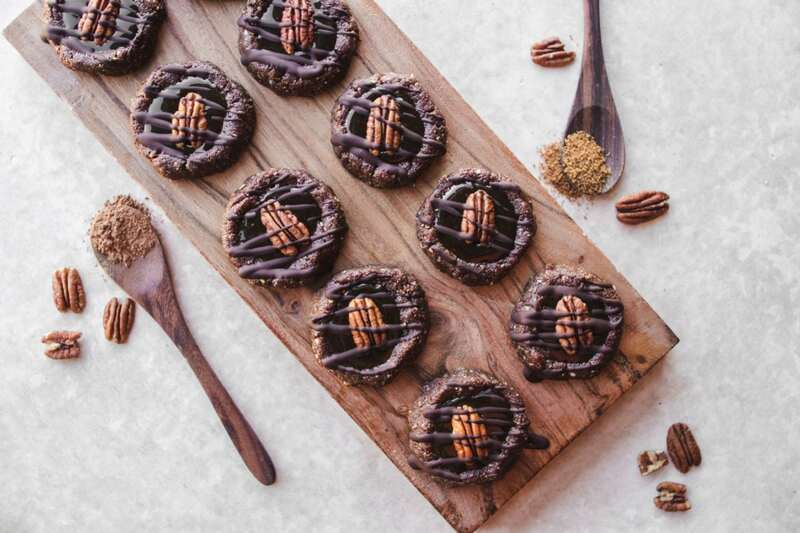 Vegan recipes are usually associated with being healthy, but these vegan Valentine’s Day recipes are definitely for indulging. Save these recipes for later by pinning them to Pinterest! You’ll definitely want to try these recipes for Valentine’s Day or the next time a special occasion rolls around. Need ideas on vegan Valentine’s Day gifts? Check out our guide to vegan gift ideas for her and for him on our Guide to Vegan Valentine’s Day Gift Ideas. Loving all these homemade ideas for Valentines Day. And the best part is that you can make these anytime of the year! (Thanks for including my lava cake too 🥰). So true! 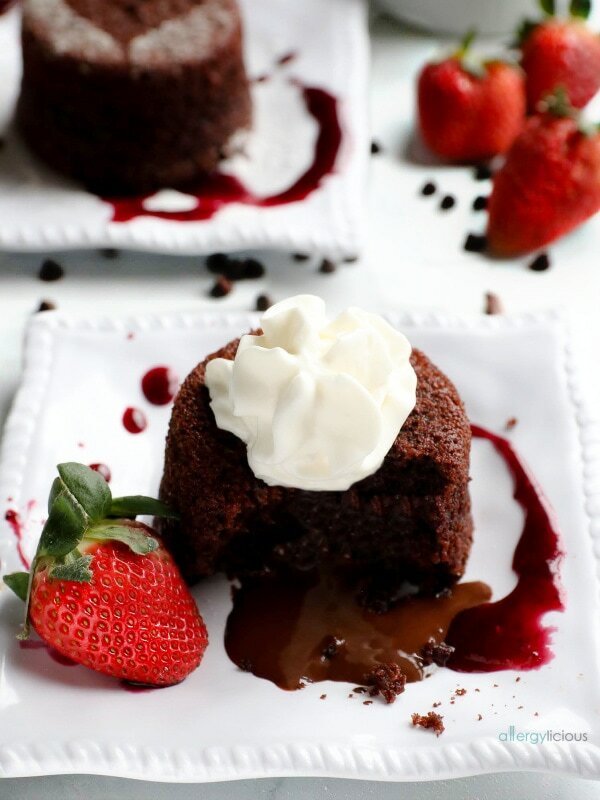 Thank you for letting me share your lava cake recipe! I can’t wait to try even more of your recipes. 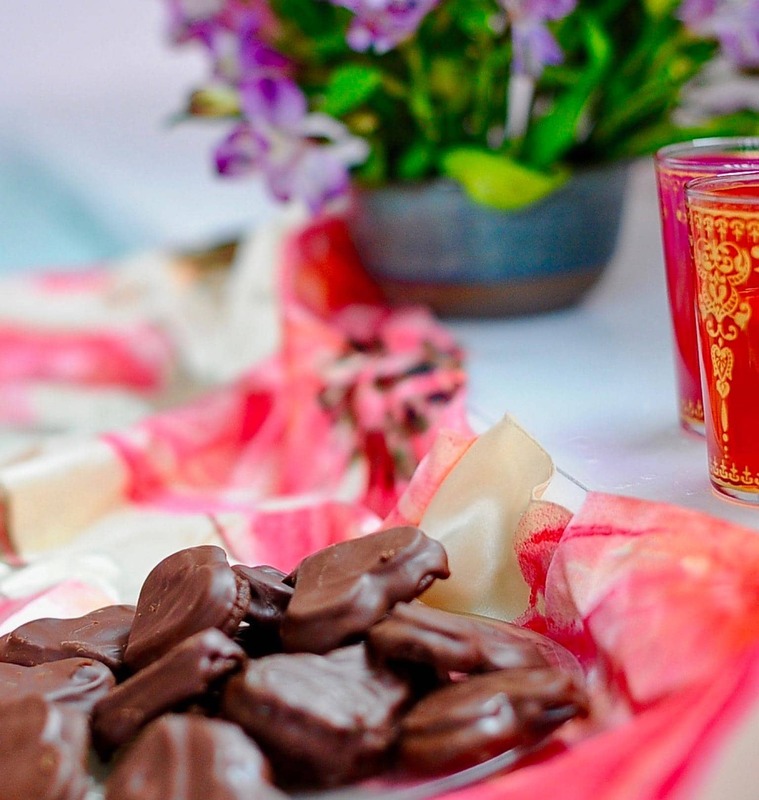 I agree that home treats on Valentine’s make for delicious memories. 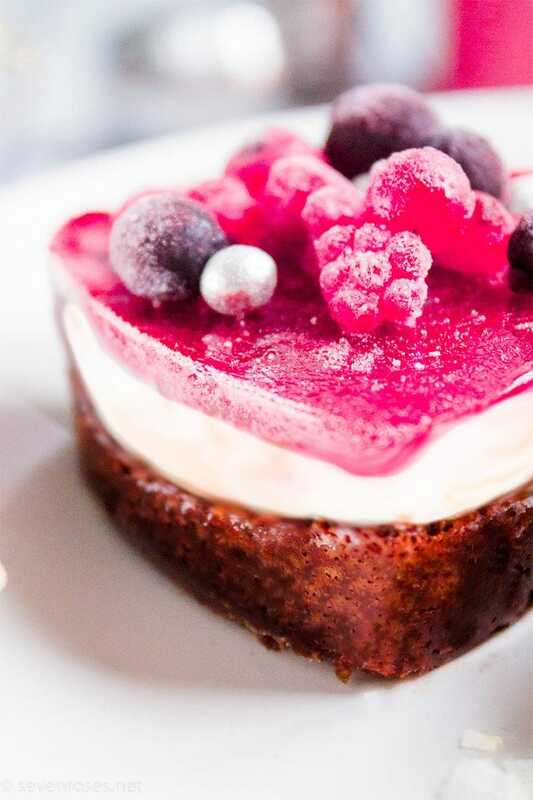 I can’t wait to try these romantic, cruelty-free desserts! Happy Valentine’s Day! Happy Valentine’s Day to you, too! Thank you for letting me share your thin mints recipe! What a wonderful selection, I’m so happy to be part of it ♥ thank you for including me! Thank you for including my cake recipe :)! These all sound amazing! Thank you so much, Amy! Your cake recipe is incredible! It’s the perfect vegan Valentine’s Day treat.